Two women and a man are arrested for stealing purses and wallets from parishoners while they received communion at a church in Old Saybrook. You've heard the old adage "stealing from Peter to pay Paul." It's not clear why three people were allegedly stealing, but their story does has a Biblical tie. Old Saybrook police called a rash of theft from parishioners at St. John Roman Catholic Church on Main Street over the weekend a brazen act. While parishioners were receiving communion during mass, Michelle Conklin-Chadwick, 28, of Waterford, Teresa Lessa, 36, of East Lyme and George Hartman, 56, of Old Lyme, stole purses and money left in the pews, police said. "I think it's very sad that people have to resort to that for any reason," Sister Gabriel, of St. John Church, said. Police said the trio confessed to stealing the items during mass on Friday and Saturday night. 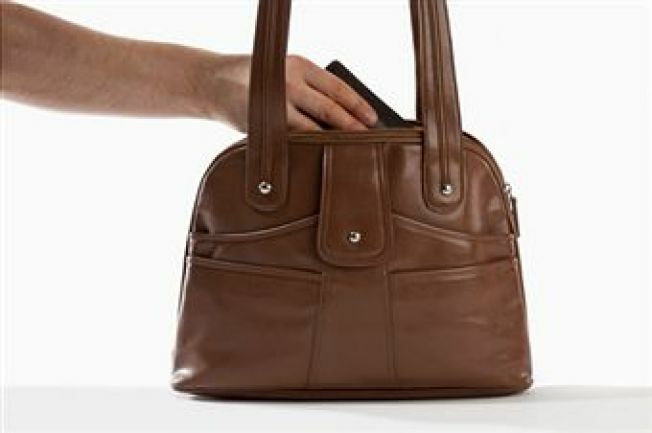 One woman reported that her purse was taken during a wedding. Officer tracked down the suspects after a female parishioner told them her wallet was stolen from her purse. Police also suspect that all three people might be responsible for similar thefts in recent weeks at the church. "People are in desperate straits and they're very needy right now," said Sister Agnes. "I think it's a crime of attention," said Carol Hanover, of Old Saybrook. "How much money are you going to get from someone at church?" During Sunday morning mass, the pastor tried to turn a bad situation into a positive one. "He commented on what had happened and then said he had a way to solve this; just put all the money in the (collection) basket," said Sister Gabriel. The three suspects not only face larceny charges but police said they had drugs on them at the time of their arrest.